Another guest from Australia! Veronica Vera from Bittersweet Candy Bowl (along with her publicist Oliver) joins Fes Works and Mark Savary in this week’s discussion. Apologies that Tanya is out sick again. We rarely talk about furry comics, high school comics, or drama comics…. but here they are! All together! *High Quality (320kbps) MP3 available for purchase at The Fump! Check out how to enter the 4th Anniversary Special Giveaway (Dec 4th), such as sending in Becky Art, a voicemail at 1+320-310-0922, or other ways to enter! Cool podcast. 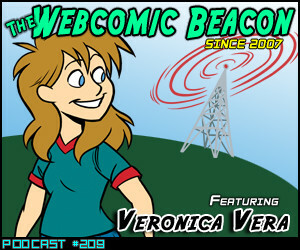 Learned some new interesting things I didn’t know about Veronica and BCB. I need to see the plushies! Where are the pictures? http://taeshilh.deviantart.com/journal/Two-years-of-Ooni-complete-234646751 And here’s a really old journal entry featuring the two plushes that I commissioned, featuring a small Mike plushie that was also made as a gift for me! Ah, yes, the one link on the site was made by my friend JillyFoo. That is the one I was talking about. And you sir, are a prick. This was an awesome podcast it was great to hear you talk about the comic Taeshi! this is a great podcast. Taeshi, your awesome!! Veronica’s voice is so cute and feminine!